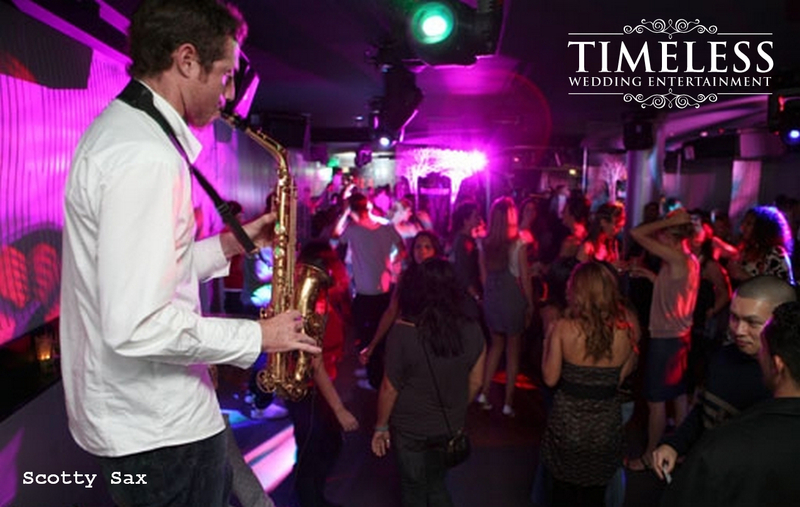 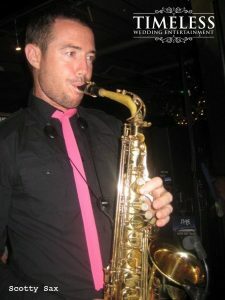 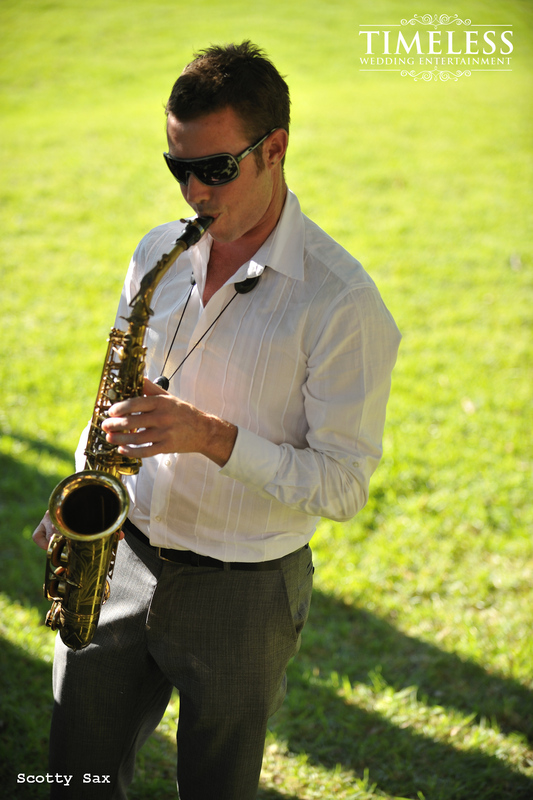 Scotty Sax is known in Sydney as the go to guy to when it comes to adding live music with a DJ. 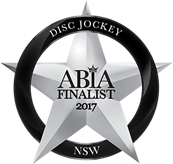 Based on the Northern Beaches of Sydney, he has forged a career playing in the once bustling nightclubs of Sydney alongside the best DJ’s from Australia and around the globe. 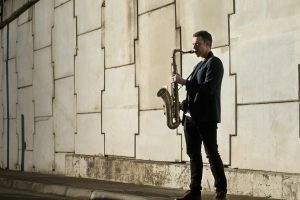 In his 20 years as a professional musician he has achieved quite a lot. He formed and managed 6 piece funk band Grover, who played across Australia and had a huge fan base in Sydney. 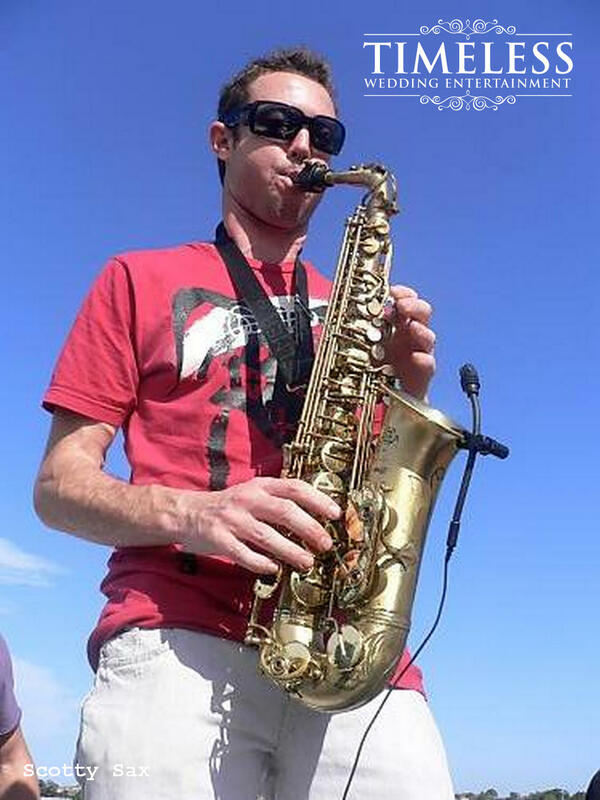 He is a multi-instrumentalist playing keys, bongos and obviously saxophone. 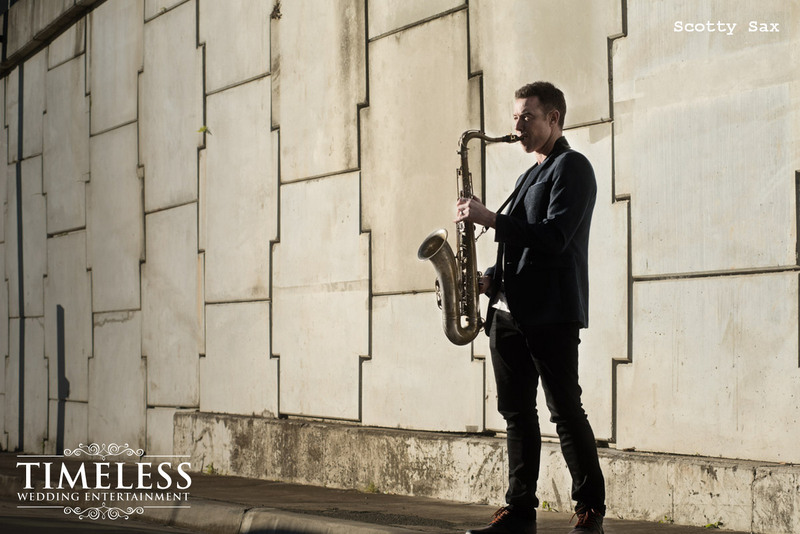 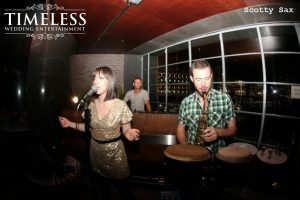 He also DJ’s and in recent times has lead his own trio of DJ, Sax, Vocals and Percussion performing at hundreds of private events throughout Australia and abroad. 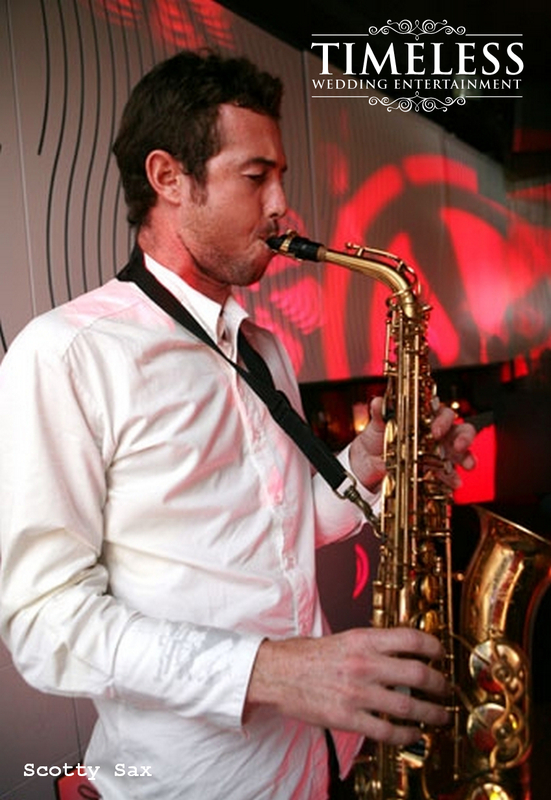 Over his career, Scotty Sax held long residencies at venues like Q-Bar, Slip Inn, The Loft, Shore Club and Cargo Bar, where he played Saturday nights for six years straight. He has also played at all the feature venues on the Sydney nightlife scene including Hugo’s Lounge, Ivy, Kit n Kaboodle, Bungalow 8, Crystal Bar, Trademark, Piano Room, Cabana Bar, Newport Arms, So Ho, Tantra, Biblos and Plan B. 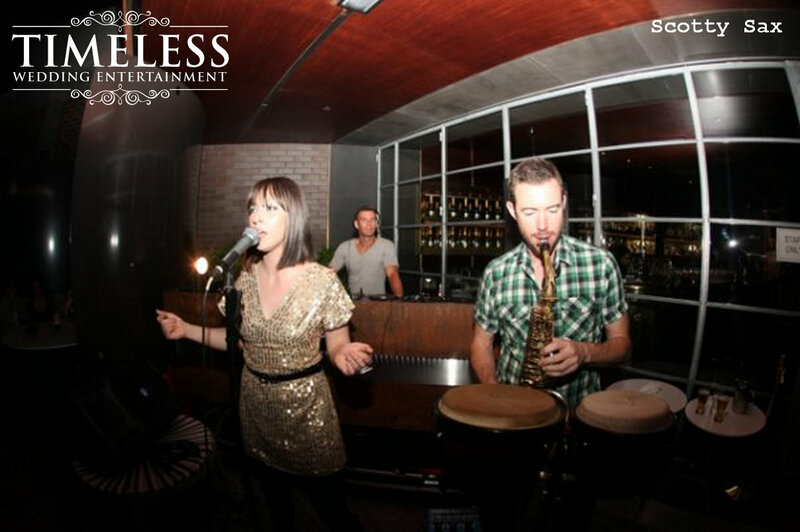 In the early 2000s, Scotty became part of ‘White Soul Collective’, a DJ group that included DJ/Drummer Mark Olsen (Martini Club, Fear of Dawn) and vocalist Michelle Martinez (The Voice season 2 finalist). 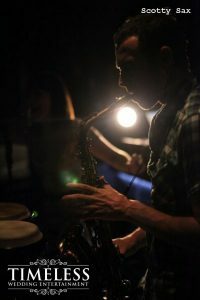 The band made waves on the live music scene and their Sunday sets in Manly became an institution. They spent five years playing at the Barking Frog, then five years at the Shore Club, holding one of the longest residencies by a Sydney group.